Why did I start selling Tupperware? We are a Singaporean family living in Sengkang (332C Anchorvale Link). We do not have a showroom but we sometimes meet up with customers and new members. In short, we are real! Are you really authorised to sell Tupperware products? Yes. You can’t even order stock from Tupperware HQ if you are not an authorised seller. I thought only “Aunties” sell Tupperware? That’s a stereotype. 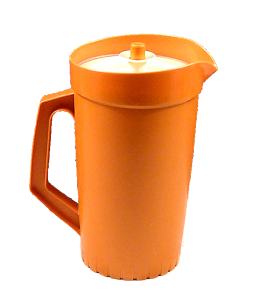 I became a Tupperware fan when I asked my mother about an orange pitcher at home only to find out that she bought it from Tupperware more than 20 years ago! Since then, I became a Tupperware fan and trust the quality of their products fully. Yes, we both hold our respective full time positions with our respective companies. It is great to earn some extra pocket money outside of our day job. Is Tupperware a get-rich scheme? No it is not. It is a very honest living selling tried and tested quality products from Tupperware. It’s quite like sales – the harder you work, the more you earn. Will you coach / guide me if I want to join as an Independent Tupperware Consultant? Of course! Just contact us!